Driving and cannabis have a swervy relationship. 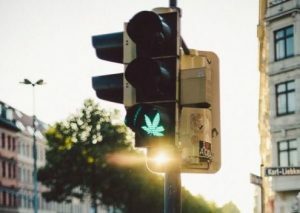 There is inconclusive evidence and testing options that law enforcement officers use to assess people who drive under the influence of cannabis. A symposium held in June 2018 at the University of San Diego’s Center for Medicinal Cannabis Research (CMCR) included a talk by Dr. Thomas D. Marcotte entitled, “Cannabis and the Public Safety.” Much to the befuddlement of policy makers and police officers, Dr. Marcotte’s lecture highlights why weed-wheel science just doesn’t match up, yet. Legally the biggest concerns for people driving under the influence (DUI) are: delayed response time, the ability to track traffic patterns and over all decreased judgement. Of course, this can also be said for people who text, eat their lunch behind the wheel or fish for coins to pay for a toll. But people who use mind altering substances are special targets for regulation while driving. Dr. Marcotte suggests that there are studies which show that people who only use cannabis are “more cautious and tend to recognize when they are impaired,” compared with their alcohol drinking counterparts. The same studies show that low to moderately high drivers tend to leave more room between themselves and the car ahead of them and that they avoid other “reckless” behaviors. In fact, if someone is driving like a grandmother sloth, either they are running out of gas, or there may be some cannabis involved. Since Colorado was the first state to legalize, they also started gathering cannabis-driving data. The 176 page report titled “The Rocky Mountain High Intensity Drug Trafficking Area” outlines all the latest data in great detail. Initially it looked like there was a 50% increase in cannabis-related crashes, but this blip may not be real, since the state also introduced traffic-related cannabinoid testing at the same time. Simply put: if no one is tested for cannabis (before legalization), no one is caught driving or crashing “high”. Once you start testing for cannabis at crashes, you can start to see some correlations. For this reason, it is inaccurate to compare the data gathered before testing, with the data after testing for cannabis roadside. What seems more probable is that on a national level there was only a 3% increase in fender benders in states which legalized cannabis. Why do cannabis science and road results not match up? Law makers would like to create cut and dry parameters around cannabis, like the “per se” blood alcohol levels, but it just doesn’t work. There is too much fluctuation, and bio-individual effects, meaning that THC levels affect people differently. What is in your blood versus how high you feel may be very different depending on how the cannabis was consumed. Smoking dramatically increases blood THC levels for the first 10 minutes, and then drops off, even though a person may still feel high. While 10 hours after a hit a persona can still have “unsafe” blood levels (above 5ng of THC/mL), even though the effects have likely long worn off. The THC in edibles converts to 11- Hydroxy in the liver creating a high that lasts for several hours. 11- Hydroxy has psychoactive effects at least as potent, if not more powerful than THC, however no one is testing for this chemical metabolite. Other than this mismatch in blood levels and feeling high, being elevated is very much a state of mind. This phenomenon is commonly referred to as set and setting, introduced by psychonaut pioneer Dr. Timothy Leary. 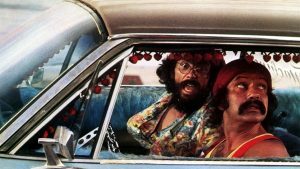 How high someone feels while driving may have many more factors that mere THC or Hydroxy-11 levels. So where does all this leave police officers? Dr. Marcotte is one of the principle investigators for an ongoing studylooking at the effects of driving under the influence of cannabis, and well as better testing options. In the name of science 180 people will be exposed to either a placebo 0%, 6.7%, or 12.6% Δ9-THC by inhaling smoke. Their driving performance is measured throughout the day including a yellow light dilemma, right turn ability and other basic driving functions. The results are not yet available. While everyone is trying to prove how dangerous cannabis is on the road, a few people recognize that certain medical patients, and older adults may actually improve their driving, given the right strain and dosing. If your shoulder or knee is pain free, you may make a turn more efficiently, or jump on the brake more quickly in the case of an emergency. In her book “Rules of the Road”, Joan Bauer writes, ”It seems to me that the people who made the rules of the road figured out everything that would help a person drive safely, right down to signs that tells you where deer cross.” As ludicrous as these wildlife warnings may seem, perhaps the best way to protect the public is to recommend that stoners hang a cannabis leaf in their rear window. Like those “baby on board or new student driver” signs, so everyone will know that a cautious and ultra-laidback driver may be at the wheel. While it is currently not ethical or legal to suggest that anyone should hit the road high, future medical research may actually provide evidence otherwise.